Oblivion? The Big One? The Smiler? Forget all those paltry, Earth-bound rides because one new theme park in China is planning to take its patrons on a ride right into the stratosphere. China's answer to SpaceX, the Hong-Kong based firm KuangChi Science, has been conducting tests on a new high-altitude balloon called the Traveller, which it intends to install in a new $1.5 billion space-travel theme park. While the park and the ride itself are quite some way of having its grand opening, what with another two years of tests planned for the Traveller, it's still pretty exciting to get the chance to fly 24km into the sky into the lower stratosphere. It might not be as high as the planned height of Virgin Galactic, which is aiming to propel tourist-laden crafts across the 100km-high Karman line into what is officially considered space, it's still going to make riding a rollercoaster pretty tame by comparison. 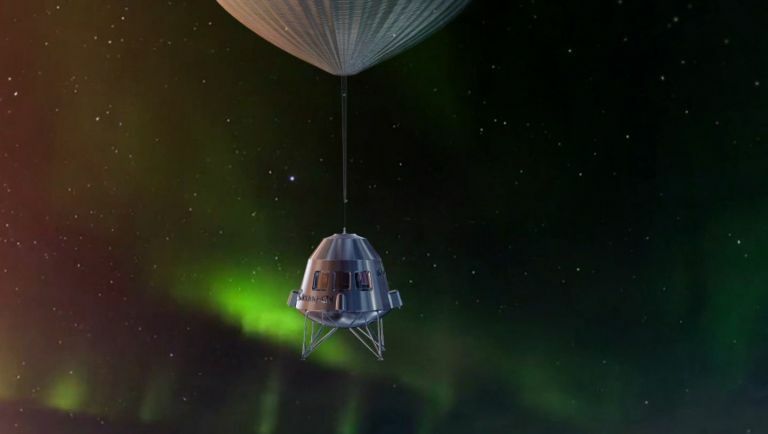 The park will be based in Hangzhou, the capital of China's Zhejiang province in the south of the country, and will be one of a number of private centres around the world attempting to provide near-space travel for tourists. "Our mission is to develop science and technology that create a future life ecology," commented Liu Ruopeng, president of KuangChi in an interview with China Daily. "We have chosen Hangzhou because it is a city that embraces innovation and tolerates failure, for the Valley. Moreover, the Qingshan Lake, where the Valley is going to be built, has a large water surface and cubical space for us to run the machine."